Finally the Indian government has teamed up with Visa, MasterCard and RuPay together and will soon launch the massive QR Code payment mechanism for the whole of India. It has been announced that soon these three card payment biggies will come together and develop a platform that will provide cashless payment facilities to all the people and businesses in the country. The Indian government has been trying to make this possible for a long time now and now the three major card companies decided to work on the building a mechanism for the QR codes. The Quick Response or QR codes is a cashless payment system that will allow the people of the country to make all transaction by using the QR codes and doing away with the use of cash. The only thing need to make use of the QR code system is a smartphone. 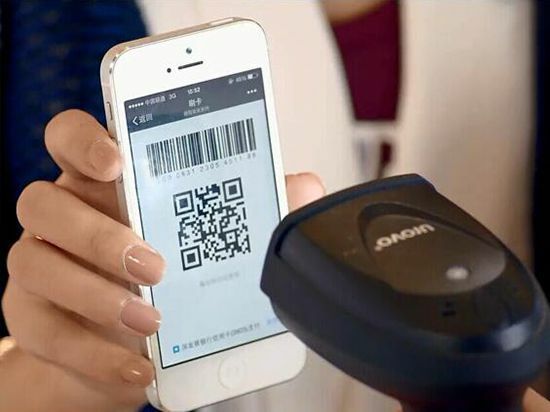 2 Who Introduced this QR Code Scanning process Japanese Firm, Denso Wave Inc.
Well now you may wonder that how the QR system would work and how will you make and receive payments using the QR codes. Well the process is quite simple. In case you buy something from a nearby shop, say a bottle of shampoo which costs Rs.80. The shopkeeper will provide you with a QR Code of his and you will just have to use your smartphone to scan the code that has been provided by the shopkeeper. After scanning you will have to enter the amount that needs to be paid, and the transaction is complete. So what happens here is that you will have to download the Visa or MasterCard or RuPay linked app, once the QR code is implemented, and that will be able to scan the QR codes. So the QR code that the shopkeeper will give you will be provided to him by the Visa or MasterCard or RuPay companies. That code will be linked to the bank account of the shopkeeper. So once you scan the code from your mobile app the entered amount will get transferred from your bank account to the shopkeeper’s bank account. So on the other end your mobile app too will be linked to your bank account so that the transaction can be done. Similarly if you have to receive any payment that you too can get your QR code from the payment processing companies and then provide your QR codes to the concerned person to recive payments. You QR code will be linked to your bank account. The other person just scans it and the payment will get transferred from their account to yours. Currently MasterCard already has its own Master Pass QR Services running in the country and Visa too has recently launched a similar QR service in Bangalore. Apart from Paytm runs on the mechanism of the QR codes but all of these happen in a restricted and closed platform. This means that only Paytm to Paytm, MasterCard to MasterCard and Visa to Visa money transfer is possible. But with the launch of India QR any person with a bank account will be able to make money transaction without cash, just by using QR code transfers. The launch of this would surely be a great achievement for India. But one has to wait and see when India QR is launched and how it works for the country.